Fitbit activity trackers quickly became the most popular fitness wearable out there. Since the original there have been countless reincarnations, each with new features to help you on your weight loss journey. 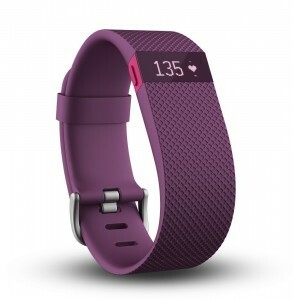 The Fitbit Charge HR Wireless Activity Wristband is the newest line of Fitbits with different levels of features. They all have the same basic features. They all track your sleep, keep track of steps taken, tell you how many miles you’ve walked, and show the time, but the new line also has one awesome new feature never seen before in Fitbits! They also function as heart rate monitors to help you work out more effectively and keep better track of calories burned. There are three new versions in the new activity tracker. The basic one is the Fitbit Charge which counts steps, calories burned, distance, has a clock, monitors your sleep, tells you how many minutes you were active, and syncs wirelessly with your phone but has no heart monitor. If you want the heart monitor functions you want the Fitbit Charge HR Wireless Activity Wristband (which also offers caller ID on the wristband). There are plenty of other activity trackers on the market but there is a reason that Fitbit stays the main name in trackers. They’re high quality, their website interface is great, and they just keep getting better. You can’t go wrong with a Fitbit! If you’re looking for a way to really take control of your weight loss, you need to know how many calories you’re burning and the Fitbit Charge HR is a great way to make sure you do. The best scale for healthy living. Live inside the Fitbit ecosystem.